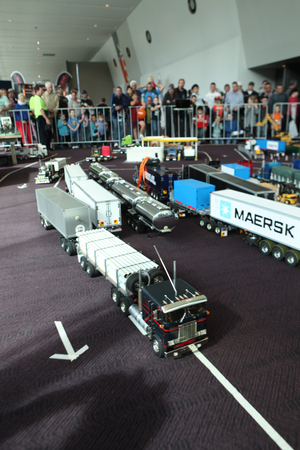 The 2015 Perth Truck and Trailer Show will be promoted on a wider scale than ever before. In addition to traditional advertising, digital and social media advertising will be introduced to capture a growing audience. A strong public relations campaign will ensure the local and national media is well informed. Direct marketing via electronic newsletters (EDMs) will update existing customers as well as offer opportunity to share with new audiences. 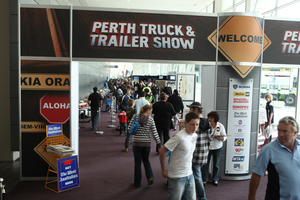 In 2015, the Perth Truck & Trailer Show is embracing digital advertising. 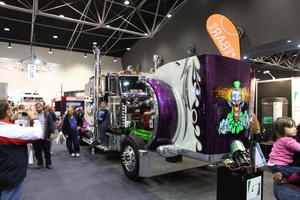 •	Data collection: tags created within the coding of the Truck & Trailer Show website will start to collect data on website visitors and generate ‘remarketing lists’ which allows for highly targeted marketing in the lead-up to the show. •	General advertising: a general message on the Truck and Trailer show will build awareness, encourage visitation to the website (or Facebook page) – as well as building on awareness, this advertising will assist in growing the remarketing list. While Facebook uses people’s profiles to target advertising messages, Google utilises ‘keywords’ to capture people searching for topics that are relevant to the show. An example of some keywords that will be incorporated into the strategy include: new trucks, materials handling, truck accessories, fuel, engines, truck maintenance, trailers for sale etc. •	Remarketing: this specific message is tailored towards those captured in the remarketing lists. 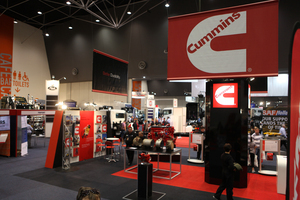 The significance of this component is that we already know that this group has already had some exposure to the Truck & Trailer Show messaging through advertising, Facebook or the website. We also know they have previously responded to the messaging by visiting the website or joining the Facebook page, so this is a highly targeted and valuable group. •	Promotion: Two online promotions will run during the campaign. The promotions will be accessible via Facebook or the website and the objectives are: to collect additional ‘opt-in’ permission from entrants to be added to the Truck & Trailer Show database for e-newsletters, as well as additional likes on the Facebook page and increased exposure through viral shares of the promotion. The promotions will be strategically timed prior to major mail-outs to ensure participants’ details are captured and utilised productively. The first promotion will feature a prize from an appropriate exhibitor and the second promotion will be a ticket giveaway.